“Most shops rely on a share of SGI’s 80,000 claims per year for the bulk of their income,” CBC News reported April 2 of the Canadian province’s collision industry. The carrier also demanded in the March 11 Bulletin No. 67 that all repairers effective immediately “must reference OEM repair procedures as part of the repair planning process on all SGI claims. Shops are also being asked to ensure that they document all repairs requiring panel or structural component replacement or sectioning.” The bulletin calls for photos of undressed welds and images of sleeves or backing. Following a backlash from shops, SGI Minister Joe Hargrave said Wednesday the carrier “got a little ahead of themselves” and would listen to input from the rural province’s repairers before a final decision, according to CBC News. It’s unclear if this referred to the OEM and structural work documentation as well as the required equipment that seems to have sparked the controversy. 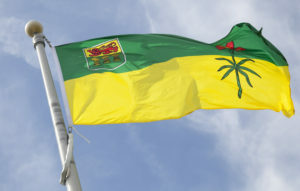 However, the Saskatchewan Association of Automotive Repairers has supported the changes, according to the broadcaster. Shops and insurers in both the U.S. and Canada should take a hard look at the template proposed here by the insurer. It keys heavily off of OEM requirements at the top tier — even demanding that a repairer be certified by the automaker if applicable. Repairers must be or be working on I-CAR Gold Class to even get in the door as a lesser Tier 2 accredited facility. Repairers and insurers should also note SGI already requires accredited shops to “agree to complete repairs according to the accompanying Appraisal written by an eligible accredited repair firm, or provided directly or indirectly by SGI, utilizing products and recognized repair techniques that ensure the repairs meet all safety and quality standards, based on I-CAR or OEM repair standards and recommendations.” (Emphasis ours.) The U.S. I-CAR says to always follow the OEM, and I-CAR Canada’s view is the same, its manager AIA confirmed. SAAR President Tom Bissonnette (Parr Auto Body) on Monday said a series of town hall meetings were planned to discuss the proposal, starting tomorrow in the city of Regina. All are welcome; contact SAAR for more details. However, Bissonnette allowed Monday that some requirements might not make sense. He said one potential change might involve the requirement that the lesser Tier 2 shops have three-phase, 10,000-amp, 600-lbf squeeze-type resistance spot welders. Three-phase power can be “very expensive” in parts of the province, he noted. It’s possible SGI would accept a hybrid welder able to function without this requirement, even though an OEM wouldn’t, he said. On the other hand, one could argue at least for the U.S. that vehicle complexity has brought many cars to the point where even a “simple” repair could demand specialized equipment. In America, the average age of a totaled vehicle was 9.66 years, while the average repairable vehicle was 5.9 years old, based on CCC data. The average repairable vehicle in the fourth quarter of 2017 in Canada was 5.73 years old, according to Mitchell. “SGI is introducing this project to help ensure vehicle repairs are completed safely,” the carrier wrote. “Improvements in vehicle automation and fuel efficiency have resulted in significant advancements in vehicle construction and driver safety technologies. Traditional repair techniques and tools used by many of Saskatchewan’s auto body shops are no longer sufficient to repair many of todays’ newer vehicles to manufacturer standards. Under the SGI bulletin, shops must own or lease for the duration of their accreditation the equipment required of their tier — they can’t borrow or pool one. SGI said it will also cease to pay markup or sublet travel costs for electronic 3-D measuring, spot welding, aluminum MIG welding and MIG brazing as of April 2020. The Tier 2 requirements — some of which SGI said might already have been required — include items like I-CAR Gold Class (or “In-Progress”), I-CAR’s steel welding course, OEM repair procedure subscriptions, a scan tool, a spot welder, a frame rack or fixture bench and a pulse MIG welder able to handle silicon bronze MIG brazing. SGI indicated that at least the squeeze-type resistance spot welder and MIG brazing equipment hadn’t been required in the past. The Tier 1 equipment list is even more extensive and includes items like a dedicated aluminum area and I-CAR’s aluminum welding certification. “Some shops will not be required to make any investment, and some shops that have not made any recent investments in tools may need to make investments of up to $10,000 – $200,000 to access the top-tier rate,” SGI wrote.